Built in 2009, The Artani is home to 52 residences at 818 Van Ness Ave. in the Van Ness Corridor neighborhood. Notable features in the building include its very central location and floor to ceiling windows. Home sizes at The Artani range from about 650 square feet up to about 1,300 square feet. Homes are available in one- and two-bedroom layouts. The Artani is an elevator building with a roof terrace featuring a BBQ and seating area. The Artani at 818 Van Ness Ave. The Artani is an eight-story mid-rise building with 52 homes and a shared rooftop deck with, we understand, the air rights above the building to the south secured in order to preserve views joined the neighborhood in 2009. Life at The Artani means you are just steps from an incredible amount of San Francisco activities. From the dome of SF City Hall to the main branch of the San Francisco public library, living at 818 Van Ness puts you within a short walk of numerous SF destinations including Civic Center Plaza, the Asian Art Museum, the Superior Courthouse, the San Francisco Public Library, San Francisco Opera, Ballet, and the Symphony, to name just a few. Homes at The Artani feature a contemporary exterior of stone and the maximum amount of glass allowed under city codes. The central location of The Artani means that it is steps away from the Civic Center, and provides relatively easy access to the North Bay, East Bay and South Bay/Silicon Valley. 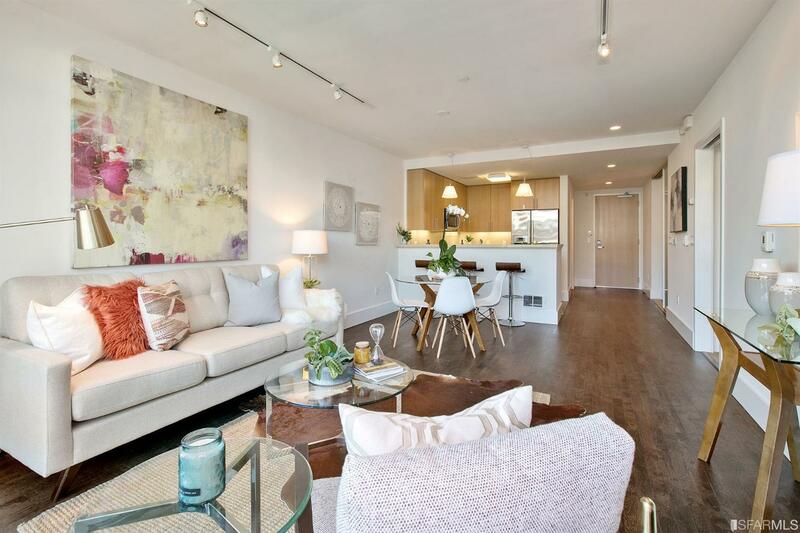 Homes at 818 Van Ness are light and spacious with highly functional floor plans. All homes have at least one car parking; some homes have two parking spots (tandem). Floors 2-5 were originally completed with hardwood floors that are beech with cabinets that are white oak. Floors 7-8 were originally finished with black oak wood floors and walnut kitchen cabinets. Symphony Towers, Opera Plaza, The Austin, The Rockwell and The Hayes are all worth considering based on building age, style, and location.